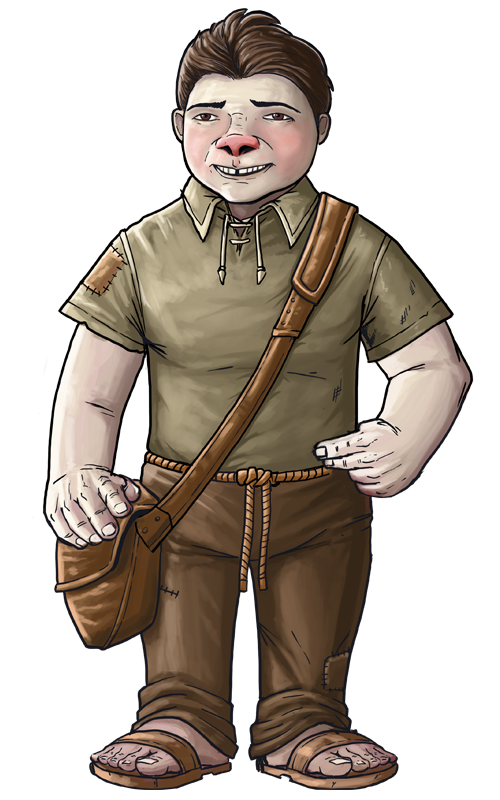 Birn ‘Books’ Tylandine is a small, slender Lildur boy with the spiky hair and turned-up nose characteristic of his race. 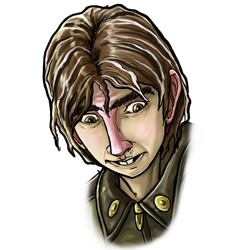 He and his mother are the newest arrivals to the Fellstone Labor Compound. 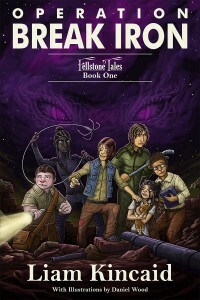 Only two weeks before, Imperial Intelligence agents broke down the door of their home in Tumberland City, shot Books’ father right in front of Books and his mother, then shipped them off to Fellstone. 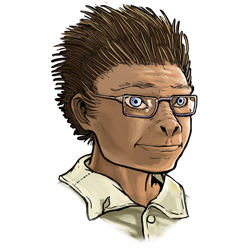 Books is a mild, quiet boy with an unusual ability — he has a photographic memory of anything he reads. Books and his mother live in assigned housing just a few doors down from Cheff and his family. 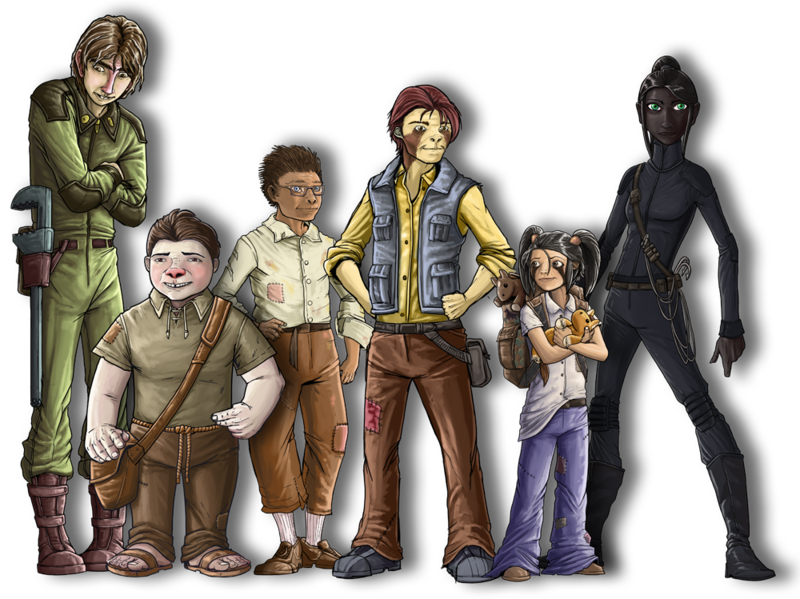 Cheff Karfendek is a boy of the Lora race, tall for his age. His Lora markings are brown. Cheff is friendly and outgoing, a natural leader. 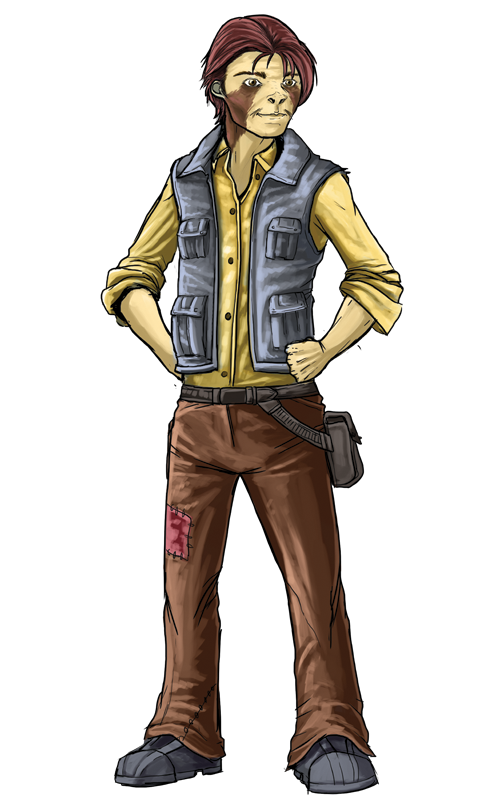 A native of Fellstone City, he and his sister were imprisoned in the Fellstone Labor Compound after both his father and mother were murdered by the Imperial Intelligence Division. Before his arrest, Cheff’s father was a manager in an oil refinery. Cheff attends the Advanced School inside the Labor Compound, where he’s on track for Civilian Leadership. Cheff and his sister, Buttons, live with their Aunt Dee and Uncle Karf. Mellabee ‘Buttons’ Karfendek, a black-and-white Lora, is Cheff’s half-sister, three years younger than Cheff. She looks up to Cheff and wants to be just like him when she grows up. She’ll be joining Cheff and Mid at the Advanced School next year. Although she’s a tomboy, Buttons is very cute, and she knows how to use her cuteness to her advantage. But behind the cuteness, there’s a whole different side of her. Her constant companions are two stuffed ponies, Starry Stargazer and Moka, who is Starry’s sister, best friend, and faithful sidekick. Buttons is usually carrying one of them in her hands, but she has a backpack specially designed just for the ponies. 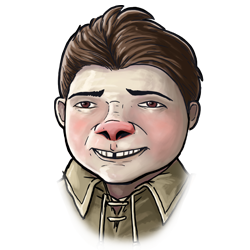 Mid Persil is a short, stout young boy of the Troh race. He’s even-tempered and levelheaded. He lives with his mother, Keeree, one street away from Cheff and Books. Mid is a gifted techie, on the Engineering and Technology track at the Advanced School. 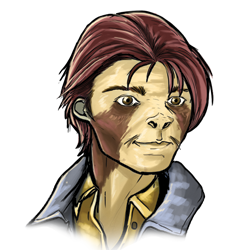 His father was a chemist and an engineer for the Imperial Mines in Toof-Toof, before they moved to Settport, a fishing town north of Fellstone City. 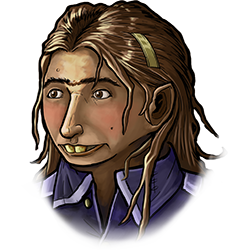 Sable Theshta is a tall, dark girl of the Kreff race. She’s strong, supple, and athletic. 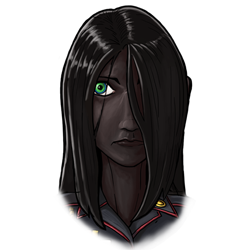 Unusual for Kreffs, Sable, like her father, has very dark black skin, even blacker hair, and brilliant green eyes. She has an unsettling effect on males of all races. 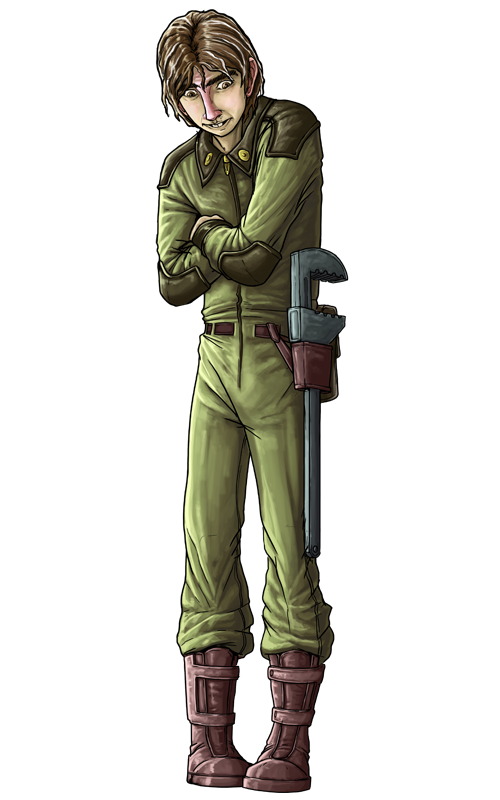 Sable’s father was a Naval officer who was accused of treason, stripped of his rank, and taken to the Iron Fortress. 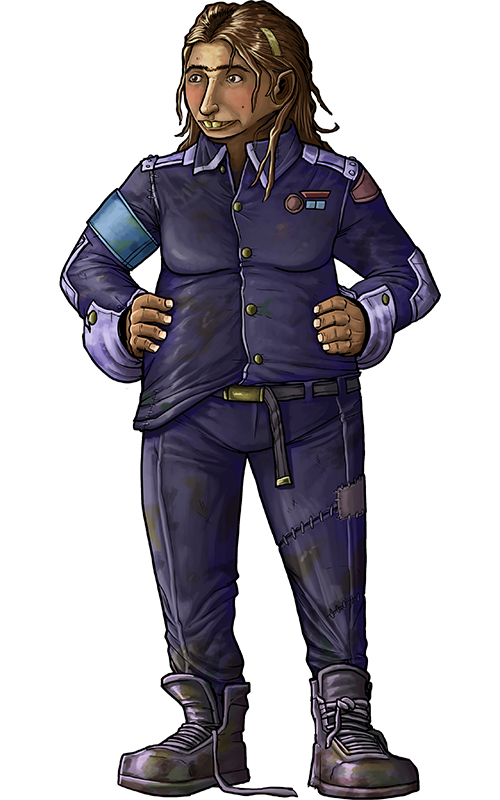 Sable is fiercely loyal to Emperor Pallador and the Imperium, and is deeply ashamed of her father’s treason. 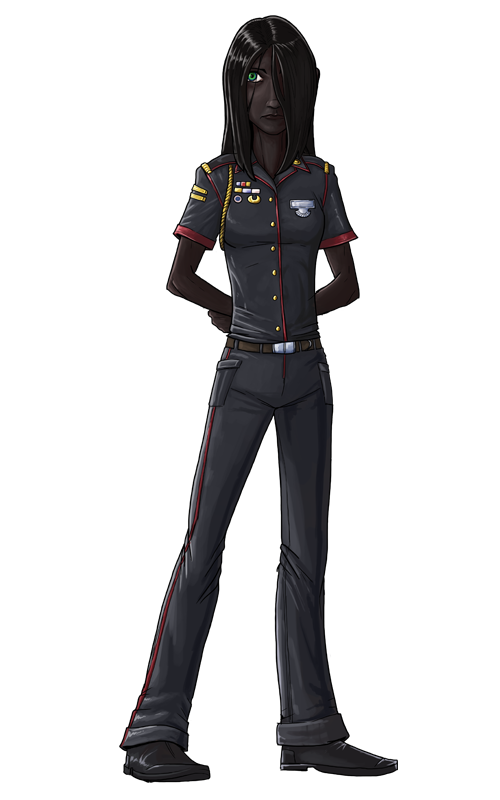 Her primary goal in life is to become a Naval officer, and remove from her family the stigma of her father’s betrayal. Sable comes from Far Point, in the extreme southeast of Andaran, the ancestral home of her family. She’s on the Military track at the Advanced School, where she’s had special training in military strategy and martial arts. Tocette Crindel is a big Fessal girl. 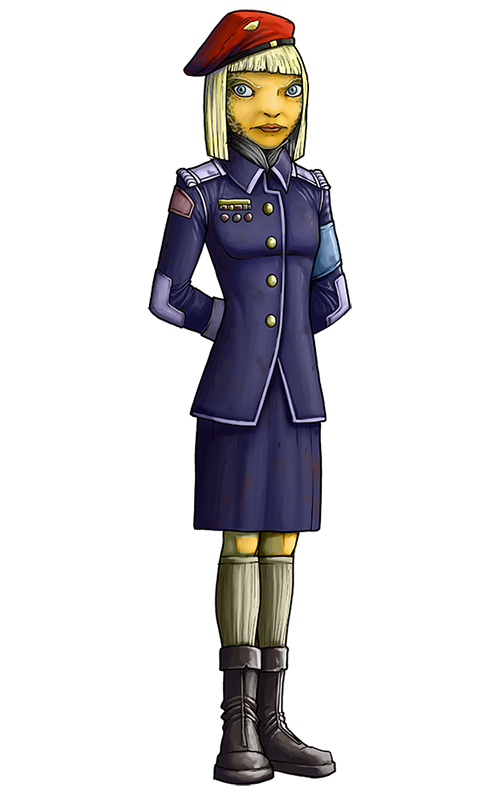 She attends Regular School at the Labor Compound, and, while she’s been a member of the Bluebands for several years, she’s still at the lowest rank. She’s a bit on the sloppy side, and not overly bright, but she’s good-hearted and means well. 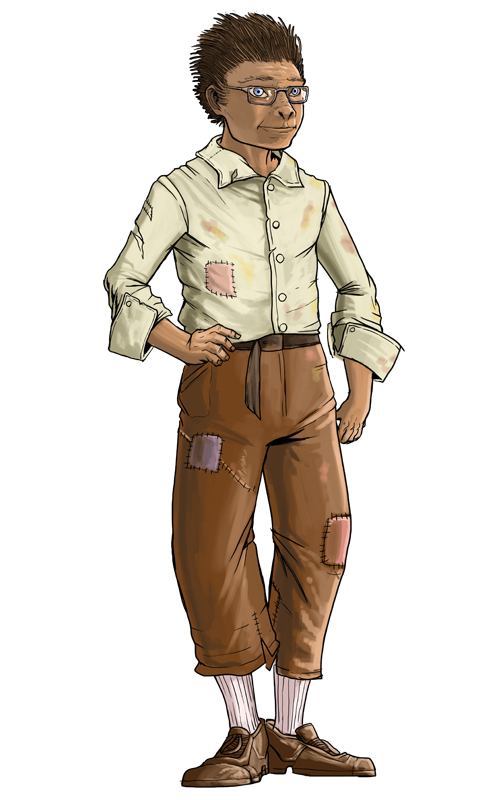 Miss Averith Brex is the leader of the Bluebands in the Fellstone Labor Compound. 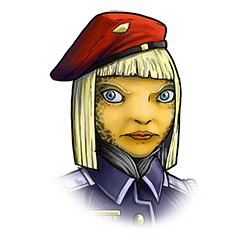 Although of the Torph race, she has advanced through the Blueband ranks by sheer determination, consummate professionalism, and a deep-seated desire to redeem her family’s good name. She suspects that Cheff and the gang are up to anti-government activities, but she can’t prove anything. Yet.